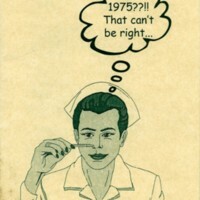 A Menu for the 25 Year Nursing College Reunion Dinner in 2000 at The Four Seasons, Co. Monaghan. A certificate from The College of Mental Health Nursing for Care of the Mentally Ill in the Community. 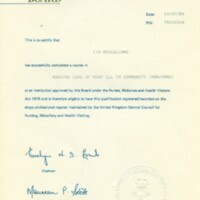 A certificate awarded in 1984 from The National Board for Nursing Care of Mentally Ill in the Community. 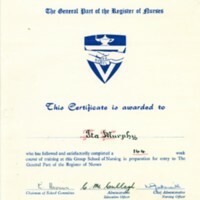 A certificate awarded in 1979 for the Mental Part of the Register of Nurses from the Southern Area Group School of Nursing. 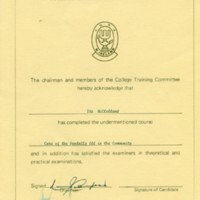 A certificate awarded in 1978 from the Southern Area Group School of Nursing.